The remains include the bones of six children. During the civil war, the area was occupied by the Sri Lankan military. The excavations are not completed and more bodies could be found. 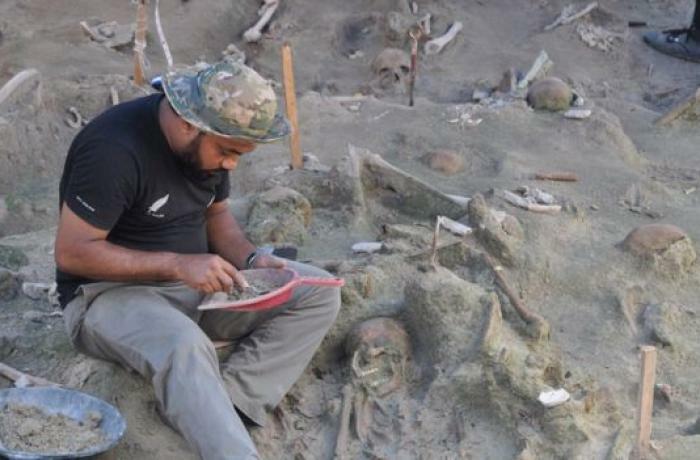 Colombo (AsiaNews) - At least 90 bodies have been found in a mass grave in Mannar. The mostly Tamil region in ​​northwestern Sri Lanka was occupied by the Sri Lankan military during the country’s civil war and saw some of bloodiest battles with Tamil Tiger rebels. This is the second mass grave found on the island nation. The first was uncovered in 2014 near the Hindu temple of Thiruketheeswaram. Groups of activists claim that, by the end of the 26-year civil war in 2009, at least 20,000 people were missing. Many of them vanished in the final phase of the war, during which about 100,000 people died. 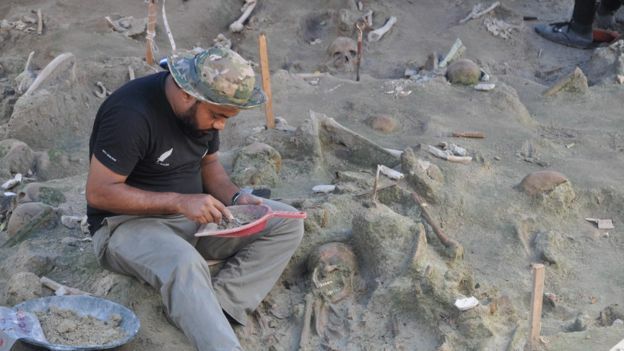 Raj Somadeva, a forensic archaeologist at the University of Kelaniya (near Colombo), carried out the excavations in Mannar. He found that the bodies were placed casually without clothes or other personal items that could facilitate their identification. The remains include the skeletons of at least six children. "The entire area can be divided into two parts. In one segment we have a proper cemetery. In the second part, you have a collection of human skeletons which have been deposited in an informal way," Prof Somadeva said. The archaeologist said that more ground must be excavated, and for this reason the number of bodies could be even higher. “We too need to really find out more about who these people are and how they died and who was responsible for this situation. So, we patiently wait to see," he added.